These computer generated scenes depict a simulated Mars Exploration Rover launch. View the entire animation of the mission including Launch and Cruise; Entry, Descent and Landing; and Surface Operations. 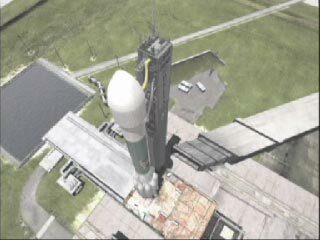 The Boeing Delta II launch vehicle consists of three stages stacked on top of each other, plus 9 small solid-fuel rockets strapped to the outside of the first stage. At the very top of this "stack" is the spacecraft, inside a protective metal shell. 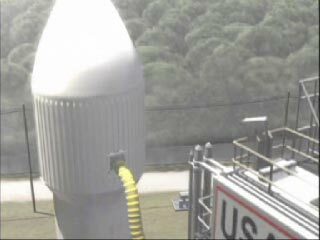 Liftoff will take place from Space Launch Complex 17 at Cape Canaveral Air Station, Florida. 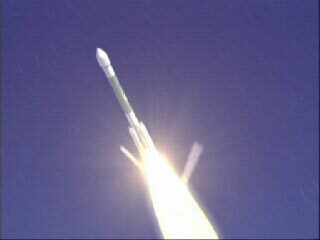 Each stage has its own rocket motor. 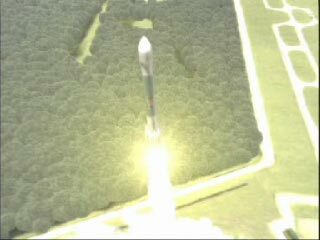 The first two stages use liquid rocket fuel. The third stage uses solid rocket fuel. 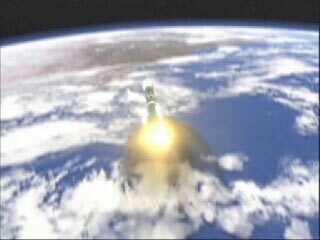 As each stage's rocket is fired, and its fuel supply is exhausted, it is discarded. A little over a minutes after liftoff the 6 solid rocket "strap-ons" are discarded and fall into the ocean. 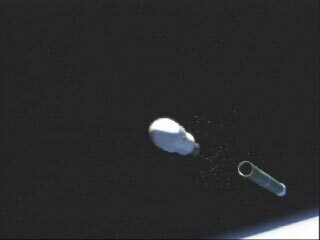 Three of the six solid rocket strap-ons will be discarded first, and the other three strap-on boosters will be jettisoned one second later, while the first stage continues to burn. 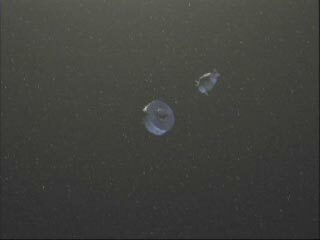 The final three rocket boosters are then ignited, and then jettisoned when their fuel is spent. The central first stage continues to burn for over 4 and a half minutes. 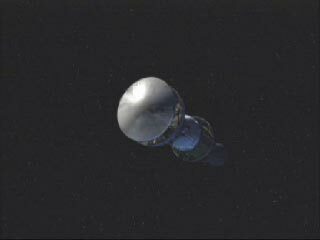 Almost 5 minutes after liftoff the first stage shuts itself off (main engine cutoff) and is discarded (first stage separation). One stage down, two more to go! Following main engine cutoff, the second stage is fired. The engine is restartable, and will perform two separate burns during the launch. 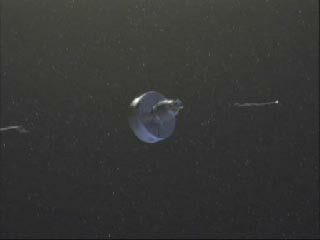 The metal shell (fairings) covering the spacecraft is discarded shortly after second stage ignition. The second-stage burn ends about 10 minutes after liftoff. 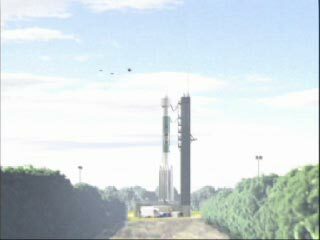 Depending on the actual launch date and time, the vehicle will then coast for several minutes. 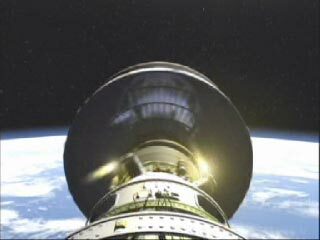 Once the vehicle is at the correct point in its orbit, the second stage will be restarted for a brief second burn. 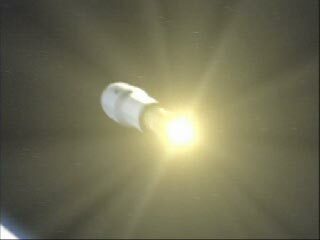 Before the third stage's rocket is fired to get the spacecraft out of Earth orbit and on its way to Mars, it has to be "spun up". 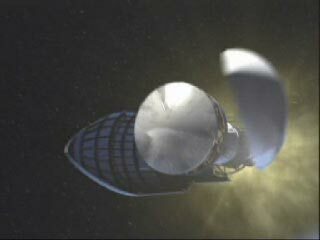 Small rockets are used to make the third stage spin about its long axis. Actually, the third stage will spin on a turntable attached to the second stage. 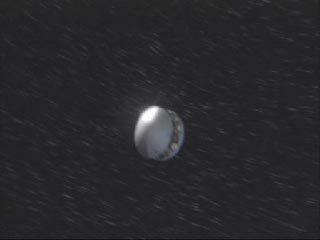 After the third stage "spin up", the second stage is jettisoned. 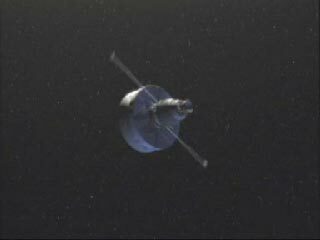 The spinning third stage separates from the second stage, and the the third stage motor ignites, sending the vehicle out of earth orbit. The reason we want the vehicle to spin during this burn is so it stays pointed where we need it to go. Spinning stabilizes it, like a spinning bullet fired from a rifle. 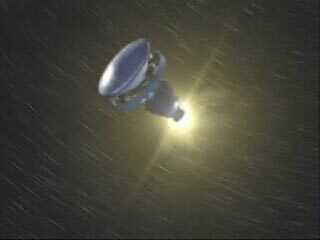 A nutation control system (a thruster on an arm mounted on the side of the third stage) will be used to maintain stability during this final burn. 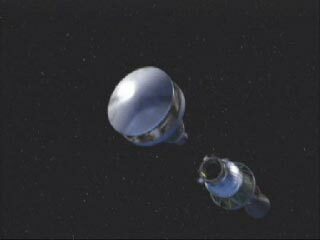 Now, the third stage, with its solid rocket fuel exhausted, and with the spacecraft attached, are on their way to Mars. However, the spinning upper stage and the attached Mars Exploration Rover must now be despun so that the spacecraft can be separated and acquire its proper cruise orientation. Despinning is accomplished by reeling out weights on the end of tethers (like yo-yos) attached to the third stage. This slows the rocket's spin, the same way a spinning ice skater slows if she extends her arms away from her body. At the appropriate time, Mars Exploration Rover will separate from the Delta's third stage. 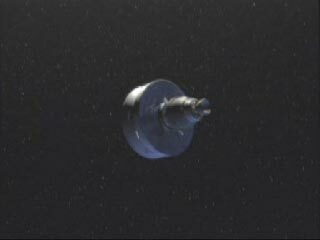 Any remaining spin will be removed using the spacecraft's onboard thrusters. Mars Exploration Rover will cruise to Mars to make its January landing.